WhatsApp has started a new feature which helps user to send and receive any file. Earlier it has limited support for only pdf or word or image files. In new update, users can send any files including apk files and zip. It was one of the features most demanding by by what app user. This feature is currently available only for Android users . In yet another good move by UIDAI ,Today they have launched android based apps mobile apps which enable user to carry their aadhar card digitally and share its information digitally. In this apps you need to create profile using your aadhar number. For this you need to have registered mobile number on your aadhar detail. Here you can add multiple aadhar information for your family member also for quick reference. To use this apps you need to set a password first. 5) This apps also provide to lock bio metric option that means If you have lock the bio metric data then you cannot authenticate using your thumb and iris data.It is recommended to keep the bio metric lock disable which will help to authenticate e-KYC as when required by various agency. Further still someone whats to keep a lock on their bio metric then this is very good to keep the bio metric detail in lock mode . With the help of this apps you can enable lock mechanism and apply lock on your bio metric detail and whenever you require to authenticate using your bio-metric detail you can unlock it temporarily for 30 min. After 30 min it will automatically get locked. The Best part I liked in this apps is Locking mechanism of Bio-metric detail which helps to keep bio-metric detail safe. 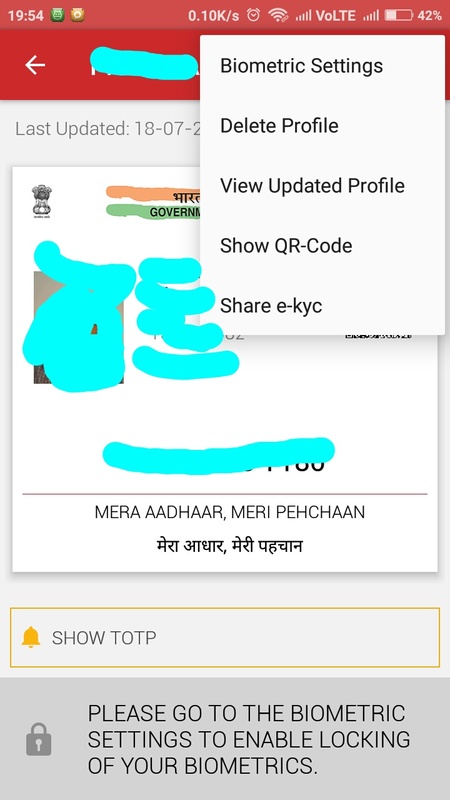 Further there can me one more enhancement in this apps which will help to download Full PDF version of Aadhar.If user can download Aadhar in PDF on apps and and user can share this then it will be a one more handly way to share aadhar card. 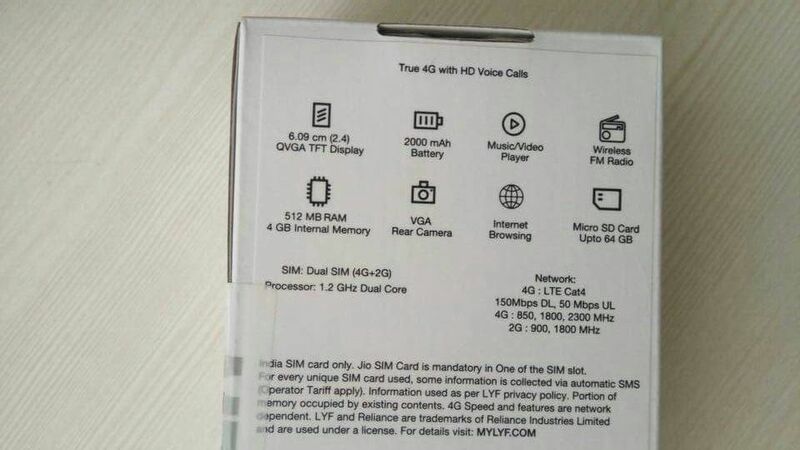 Finally Reliance jio has come with yet another exiting offer form Indian people with mobile phone with price tag of 0 but user has to pay security deposite of Rs 1500/- which is 4G VolTe supportive phone.In order to use this phone you need to have a JIO SIM card on SIM 1 slot which is mandatory. 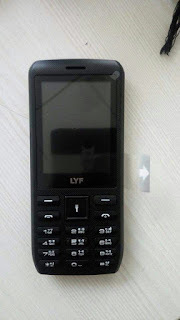 Lets have have quick look on the specification for this feature phone . 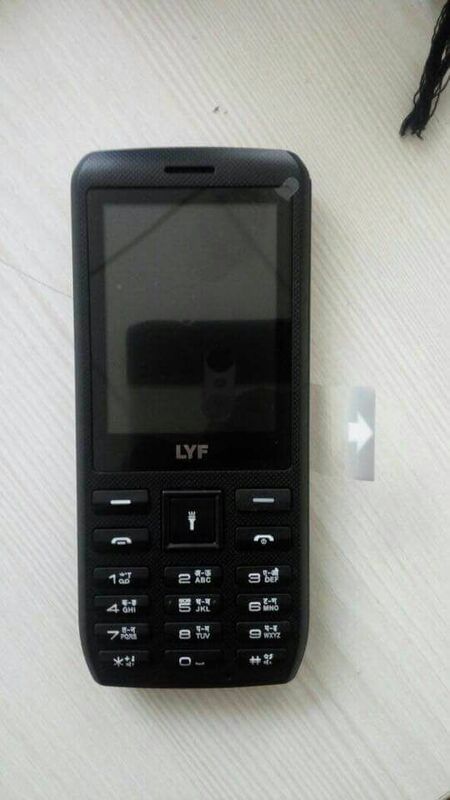 This Phone will be a bar phone. 4) Band : LTE Cat 4 band with spectrum 850MHz, 1800MHz, and 2300MHz. And for the 2G network, the device will have network support in 900MHz and 1800MHz spectrums.